Net-zero energy is now possible on a wide range of building types and sizes. Here's what you need to know. Net-zero energy buildings emerged from a radical, inspirational goal, though one that was for the most part financially unattainable by most building owners. But today the goal of net-zero energy buildings, districts, and communities does more than inspire. Net-zero is now financially realistic for many project types, sizes, and contexts. Increasingly stringent building codes, the decreasing cost of photovoltaics, innovative green financing mechanisms, new frameworks to guide the design process from benchmarking to completion such as Zero Tool, Zero Code, and 2030 Palette, and technologies bringing net-zero buildings into the smart building space, such as fault detection and diagnostics, all make this possible. As a result, we are now building not just net-zero energy, but net-zero carbon buildings, and the goal of net-positive isn’t far off. Whatever the details of the mathematical equation (zero or positive, energy or carbon), the most significant lesson learned from a decade of net zero is that the effort doesn’t stop at the ribbon cutting. The most important phase in a net-zero energy building starts when people move in. A net-zero energy building is an operational goal in addition to a design and construction framework. Leveraging basic principles of integrated design, advanced technologies such as parametric analysis, and elevating the role of post-occupancy commissioning are key to its success. A net-zero-ready building is like the understudy actor, fully prepared and rehearsed, patiently waiting for its time to stand in the spotlight on stage. The spotlight happens to be the sun shining down on photovoltaic panels. Ready means as prepared as possible. A net-zero ready building has been designed and constructed with the same level of rigor, analysis, and quality control as a net-zero verified building. First, passive design strategies have been leveraged to minimize loads as much as possible (as much as 60 to 80 percent lower than their code-compliant counterparts). Energy-efficient heating, cooling, lighting, equipment, and appliances has been selected based on life-cycle financial analysis. Commissioning agents and facility managers have been involved in the process from the beginning to ensure that long-term operations stay true to the design intent, and occupants have been educated as to how to live, work, and play in a building where every watt counts. The building design, construction, and operations have been finely tuned so that the amount of on-site renewable energy needed to reach a net-zero energy goal on an annual basis makes good business sense. The only difference is that, with a net-zero ready building, the on-site solar photovoltaics have not been either purchased, financed, or installed yet. How does the process of designing for net-zero differ from conventional building design? In a traditional process, the engineers are typically brought in after conceptual decisions — such as the massing; program; location of mechanical, electrical, and plumbing areas, and approach to façade elements — have started to take shape. At that point, engineers are charged with figuring out how much air, cooling, heating, power, and water will be required to operate the building comfortably. To achieve net-zero energy, the sooner engineers are engaged, the better. The design of the National Renewable Energy Laboratory research support facility in Colorado, the world’s largest net-zero energy office building when it was built, started as a sketch by the mechanical engineer during an early workshop, and the project remained true to that sketch through completion. 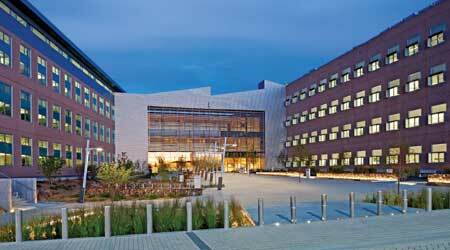 To get to net-zero energy, a focus on long-term operations is as foundational as design. Architects, engineers, and energy consultants may design a building with integrated systems and analyze its predictive energy performance to align with goals, but ultimately they don’t operate the building. Compared to traditional buildings, net-zero energy buildings place a significantly higher value on the facility staff and occupants in achieving the net-zero equation over the lifespan of the building. Every single phase of the project, design included, from cradle to cradle (net-zero buildings make good retrofit candidates too) is critical.